Yesterday was absolutely perfect in Atlanta. Sure, it was slightly overcast, but the temperatures could not have been better, and it was almost humidity-free. It finally feels like fall is on its way, and I for one am more than a little bit excited. Fall is my absolute favorite season, so when I spotted Evelyn Henson's fall favorites on her blog, I knew I had to share them with you. 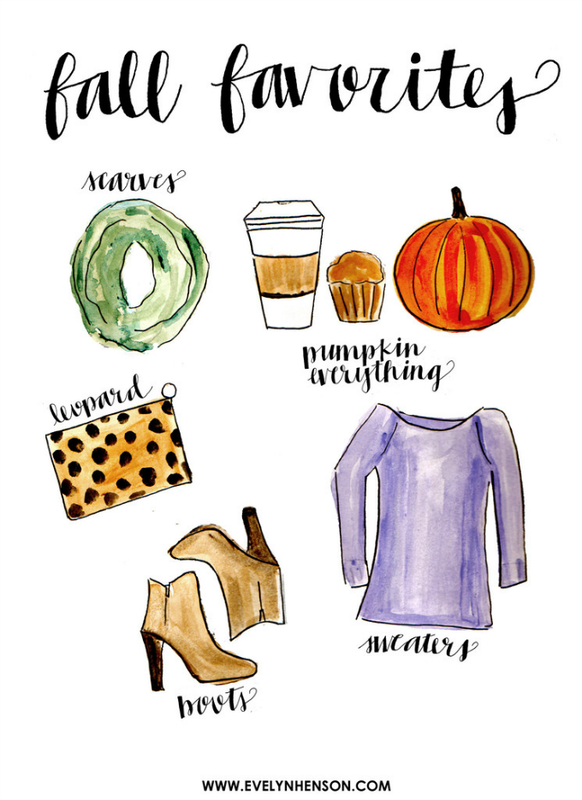 Here's to pumpkin everything, chunky sweaters, beautiful boots, scarves, fires, blankets, and more! I agree with pumpkin everything! !